Opened in 1905, the Norton Place tract was then so far out of town that it might as well have been on Catalina. On the south side of then-dusty Wilshire Boulevard between Wilton Place and Norton Avenue, it was far enough west from the center of Los Angeles that not a single house had been built on any of its 60 lots as late as 1910. But Norton Place wasn't languishing. 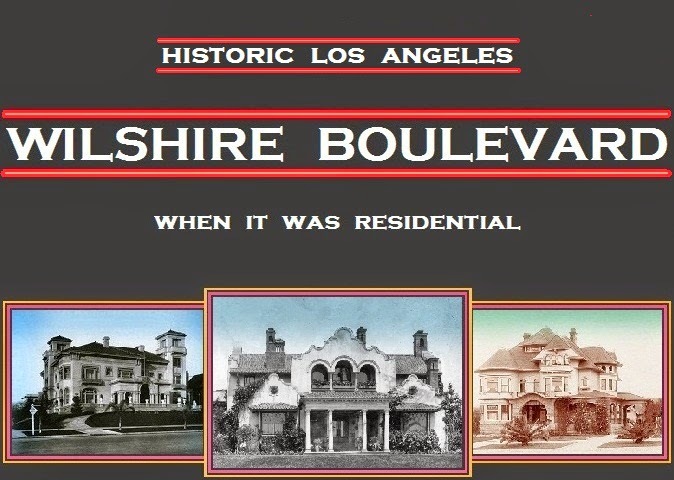 It was one of many subdivisions platted out along the boulevard that began by attracting smart investors wise to Wilshire's inexorable westward development—they bought and held. The Model T's first appearance in late 1908 signaled that the automobile and its tires had overtaken the horse and its hooves and was now dependable and speedy enough to shrink the boulevard even as it grew. By the 1910s, lots closer to the tract's southerly Seventh Street boundary began to fill up; the lots were less expensive than Wilshire frontage and quieter. For some, however, a Wilshire address made up for ever increasing automobile clatter. connoted the future rather than a stodgy past. Women were not infrequently among the many habitual investors in Los Angeles real estate around the turn of the 20th century, sometimes as part of their husbands' dealings, often in their own rights. Married to a man who had apparently made a pile back in St. Louis before arriving in L.A. in 1888, Ida V. Olshausen seems to have been in charge of buying and selling parcels all over the growing city. Among the deals reported by the Times over the years was her purchase from John H. Norton and the Los Angeles Trust Company of Wilshire-facing Lot 7 and the west 25 feet of Lot 6 on January 9, 1908. The Olshausens had been living and would continue to live on St. Andrews Place for many years; it is not clear how long Mrs. Olshausen retained title to the Norton Place property, but it was the Union Realty Company that was issued permits for the construction of 4032 Wilshire from the Department of Buildings on November 30, 1912.
the-world trip later that month. 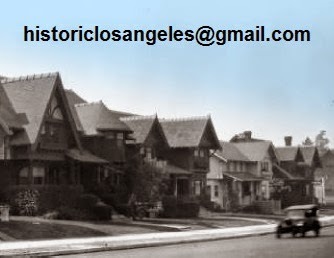 While George M. Hawes, a man who appears to have invested in property on the emerging west end of Los Angeles, was listed as living at 4032 in the 1917 city directory, it is unclear as to who else may have lived in the house before it was bought by 78-year-old Wyomingite Thomas Blyth in 1921. Born in Scotland on November 16, 1842, Blyth was described in his 1933 obituary as "a pioneer merchant of the intermountain states." 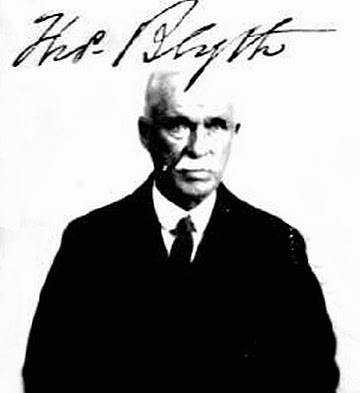 According to news reports, he had been spending at least part of his time in Southern California for several years prior to his Wilshire Boulevard purchase, as had his daughter and son-in-law, Dr. and Mrs. James T. Keith, previously established with their own fairly high profile in Salt Lake City; Blyth and the Keiths may have been persuaded to buy 4032 by their apparent friendship with the Woods R. Woolwines, who were living two doors away at 4040. The Keiths appear to have doggedly pursued a high social profile in Los Angeles, joining the country club and entertaining feverishly there and at 4032 to much news coverage until their daughter Kathryn snagged a big one in the form of real estate man Lewis Curtiss Torrance Jr. in 1926. The Blyth and Keith investments in Wyoming and Utah supplying the needs of the family's high life on Wilshire Boulevard were augmented by the local property dealings of Dr. Keith, who does not seem ever to have actually possessed a stethoscope or plexor. that appeared in the Los Angeles Times on September 13, 1936. Ninety-year-old Thomas Blyth died at 4032 Wilshire Boulevard on January 22, 1933. The Keiths left not long afterward; the only name associated with the address before the house's architecturally splashy second act was furrier Abraham Silk. Trade had long since arrived on Wilshire Boulevard. Retailers and professionals sought the high profile of a boulevard address, including doctors who actually practiced medicine. Dr. Edwin Larson bought the old Blyth house for transformation into a medical center in 1936, hiring architect H. William Greene to rebuild it inside and out. The resulting Streamline Moderne design carried 4032's original horizontal lines—themselves very fashionable for 1912—into the future, or at least until a new façade was added in 1959. An updated look could not stave off the end for long, however: the Department of Building and Safety issued permits for demolition of 4032 on April 27, 1961. The office building still on the site went up by the end of that year. to the section's developmental stubbornness.